Obituary for Jennie B. 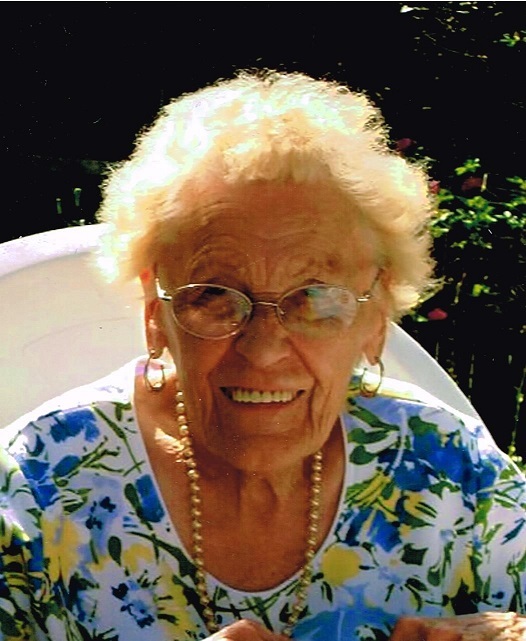 (Jastrzembski) Rademsky | Brown Funeral Homes, Inc.
Jennie B. Rademsky, 101, of North Smithfield, formerly of Woonsocket, RI passed away on February 7, 2019, at the St. Antoine Residence in North Smithfield. She was the wife of the late Byron Rademsky. Born in Bellingham, MA, daughter of the late Jan & Carolina (Szmysgala) Jastrzembski. Jennie retired from the Albert A, Shorr Co., in Woonsocket in 1979, previously she worked at the former Packard Mills and Enterprise Dye Works. She was a member St. Germain Manor Social Club and resided at St. Germain Manor in Woonsocket from 1981 until 2015. Grandma Jennie enjoyed bingo and collecting souvenir magnets. Her children and grandchildren were the loves of her life. She is survived by her children, Carol Blanchard of No. Charleston, SC, Joan Wood of Riverside and Janice Cabana and her husband Jeffrey, of Greenville, 7 grandchildren, 13 great grandchildren and 2 great-great grandchildren. She is also survived by a sister, Anna Ravinski of Attleboro, MA. She was preceded in death by her siblings Roman "Raymond" Jastrzembski and Helen Masterson and a great grandson Keith Overwood, also her son-in-laws, Louis Blanchard, Sr. and Kenneth Wood. Her funeral will be held Monday at 9 am from the Keene-Brown Funeral Home, 445 Greenville Rd., North Smithfield, with a Mass of Christian Burial at 10 am in Holy Trinity Parish (OLQM Church) Park Ave., Woonsocket. Burial will follow in St. Jean the Baptiste Cemetery in Bellingham, MA. Calling hours will be held Sunday from 1-4 pm. In lieu of flowers, a donation to a charity of your choice or perform a simple act of kindness in honor of Grammy Jennie.